Course Website: Official Website - Visit Dormie Club's official website by clicking on the link provided. 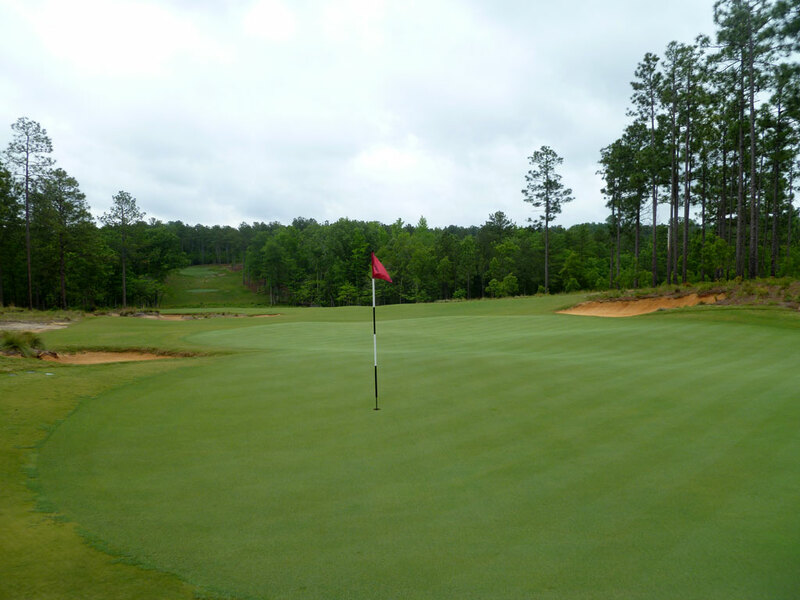 Accolades: Ranked 2nd in North Carolina on Golf Course Gurus' Best in State list. 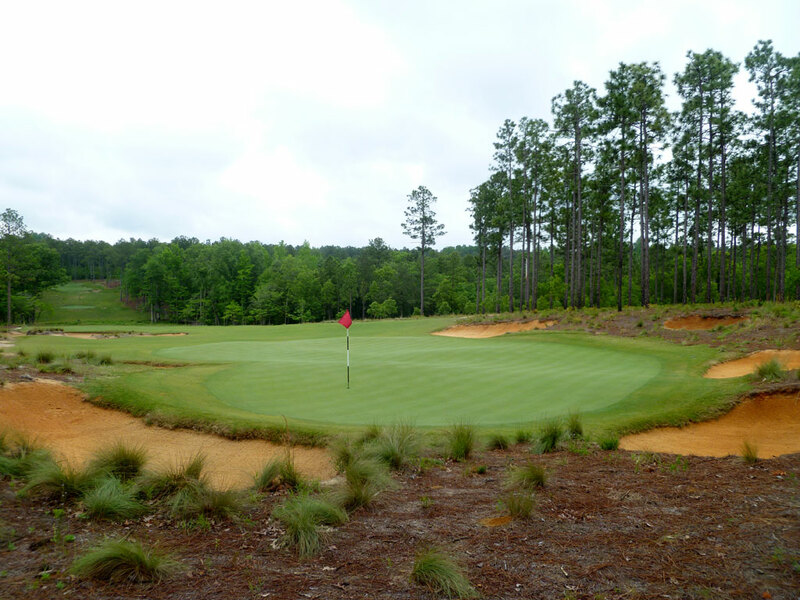 What to Expect: The Dormie Club is located outside of Pinehurst in the forested sandhills of North Carolina; often coined as the home of American golf. The property is nicely undulated but the elevation changes are smooth enough to allow an enjoyable walk while still offering dramatic terrain and shot values. If was clear to me that the developer of The Dormie Club gave Crenshaw and Coore free reign on the project with a desire to make the golf course as good as it possibly could be. This is evidenced by the lack of imposing home sites, the omission of paved cart paths, the walking caddie program, and the old school bunkering style; all throwbacks to the early roots of golf which C&C are famous for embracing. The conditioning is top notch and is maintained to a “firm and fast” level which encourages the ground game and accentuates the design features around the green. 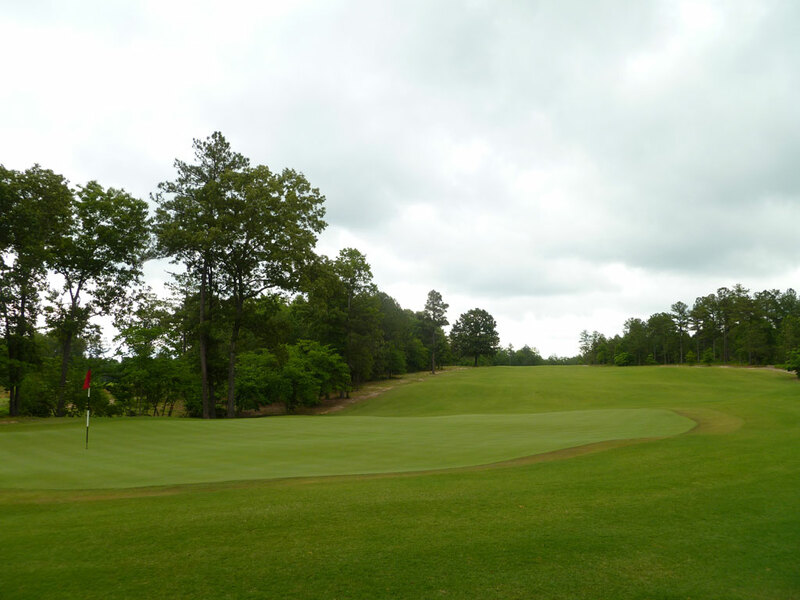 The putting surfaces enjoy a blend of Crenshaw Bent and A1/A4 grasses while the fairways feature Tifway 419 Bermuda turf which is finer that traditional Bermuda and doesn’t require overseeding in the winter, even though the fairways will turn a brown hue color. As I was compiling the review for Dormie Club I had a difficult time identifying which holes would represent each category in the write up. 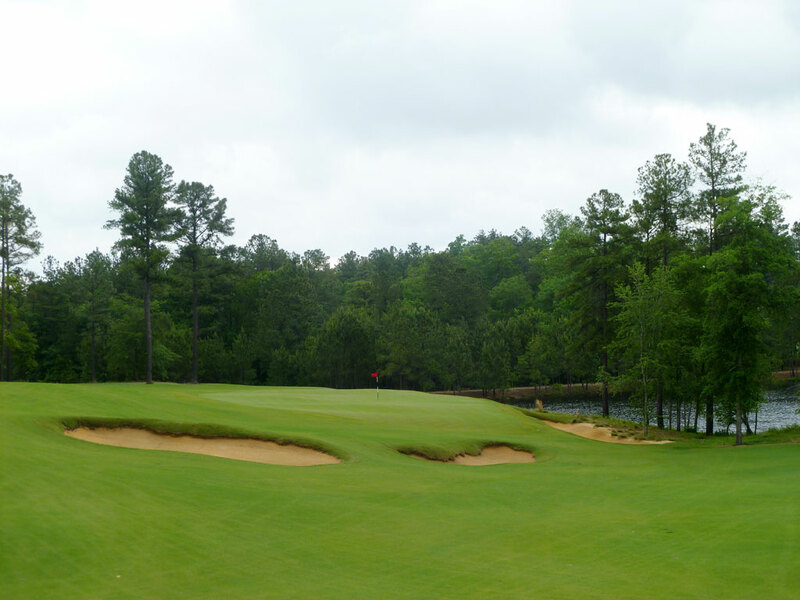 The predicament means one of two things; the course doesn’t feature many great holes to focus on OR the course is so solid throughout that it’s tough to identify just one hole per category. For Dormie Club, the problem is the latter. I found myself identifying 2-3 candidates per category and having a difficult time being willing to cast one hole off in favor of another. In the end, Dormie Club is nothing short of fantastic. The wide fairways and lack of rough make the course playable for everyone but not at the expense of being able to deliver a solid challenge. Walking down the fairway with a caddie carrying your bag, talking strategy, and thinking about nothing but golf and the beautiful surroundings is the experience Dormie Club delivers; an experience I could relish round after round. Signature Hole: 5th Hole – 435 Yard Par 4 – The largest hazard on the property rests off the tee of the 5th hole and provides a beautiful foreground for the tee shot on this two-shotter. 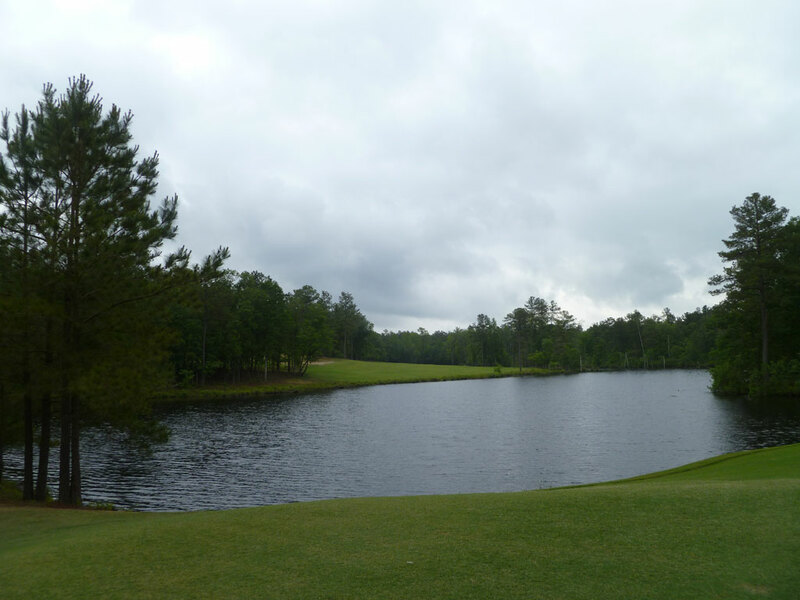 Coore and Crenshaw rarely feature water hazards or penal tee shots, so you can be assured that the tee shot on the 5th hole isn’t as demanding as it may first appear. Hitting up the left side of the fairway will provide ample of forgiveness in length and width, the only trouble comes in a big slice that makes the carry over the water further and brings the marshland forest into play since the fairway tilts to the right. Aiming up the left side again on the approach is the ideal play since balls feed left to right and the lone greenside bunker is found on the right side of the putting surface. It is a beautiful hole that represents the fifth straight par four to start the round. 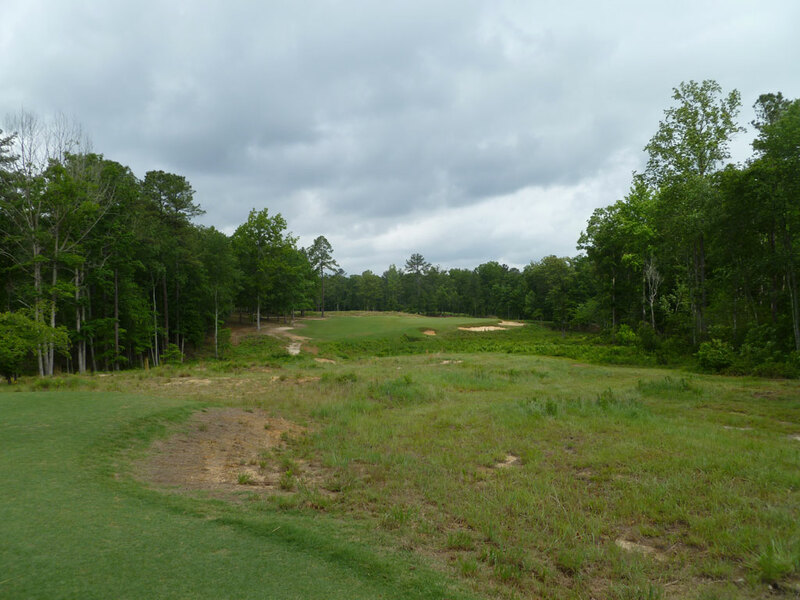 Best Par 3: 7th Hole – 243 Yards – I’m a huge fan of Redan modeled par threes, and Dormie comes through with a solid reverse Redan offering as their 7th hole. Ample room is offered left of the green on this lengthy hole where contours exist to help work your ball to the right and onto the putting surface. The green is angled from front left to back right but isn’t titled as severe as other Redan holes I’ve played (Somerset Hills, Piping Rock, NGLA) but provides a better landing area to work the ball in from that most Redans. This is Dormie’s longest par three (shortest is 118) and is the first of four great one-shotters you’ll encounter during your round. 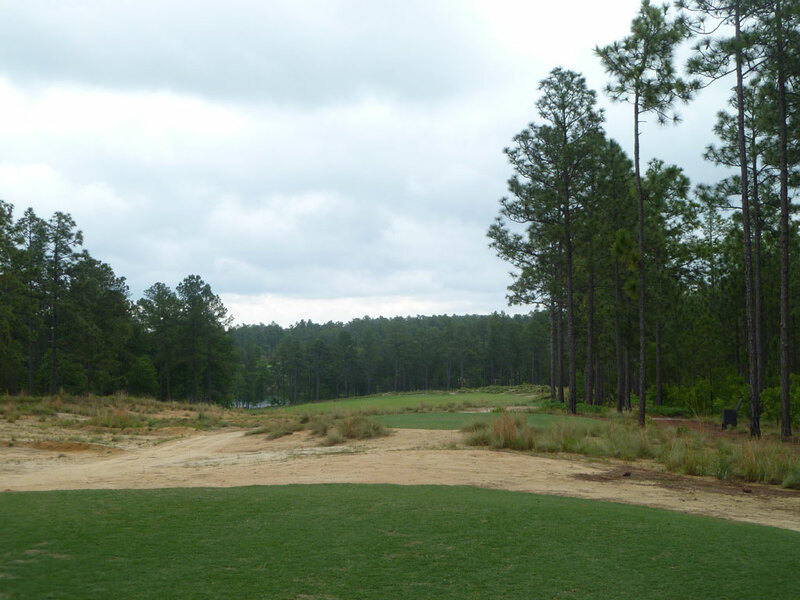 Best Par 4: 4th Hole – 440 Yards – Dormie Club’s 4th hole features my favorite tee shot of the day. From the tee box you can see the wide fairway head straight away from you and then dive down to the left just begging you to gain an extra 50 yards if you can hit a power draw down the hill. The approach shot plays down to a green that is fronted by a trio of bunkers that get progressively closer to the putting surface when looking at them from left to right. A large lake sits behind the green and reminded me of the 4th hole at Bandon Dunes where the player is introduced to the ocean for the first time. 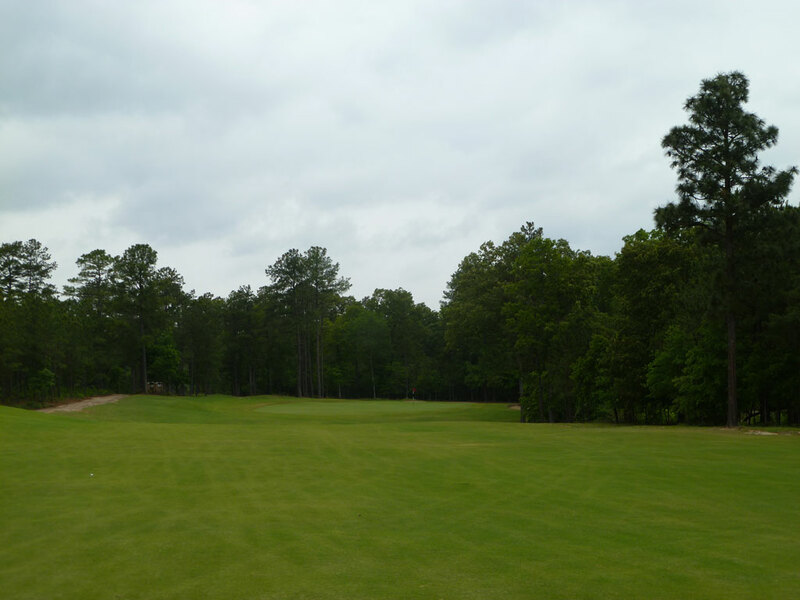 The terrain tilts to the right and begs for an approach shot to come in from the left which will also successfully avoid the false front located at the front right corner of the green. It is my favorite hole on the property due to the big reward you can get off the tee if you can work the ball to utilize the speed slot coupled with the beautiful downhill approach shot that features aerial or ground options. 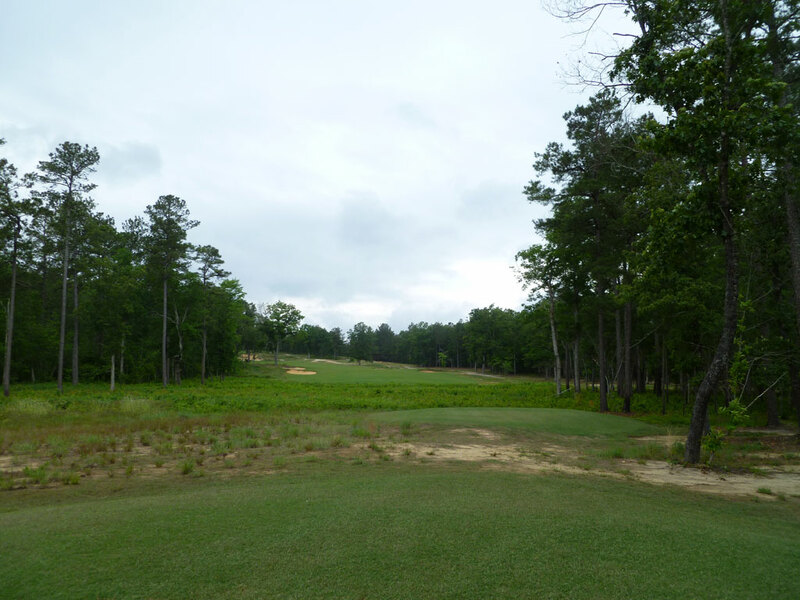 Best Par 5: 17th Hole – 506 Yards – During my round at a new golf course, I’ll often make notes on my scorecard of features or impressions I have of individual holes along the way. The note I have written below the 17th hole says “Wow! Uphill, P.V.” While playing this dramatic par five, I found myself thinking I had been transported back to Pine Valley where many of the best holes on the planet exist. Off the tee, a modest carry over a marsh area is required in order to find the fairway that begins turning left and heading uphill. 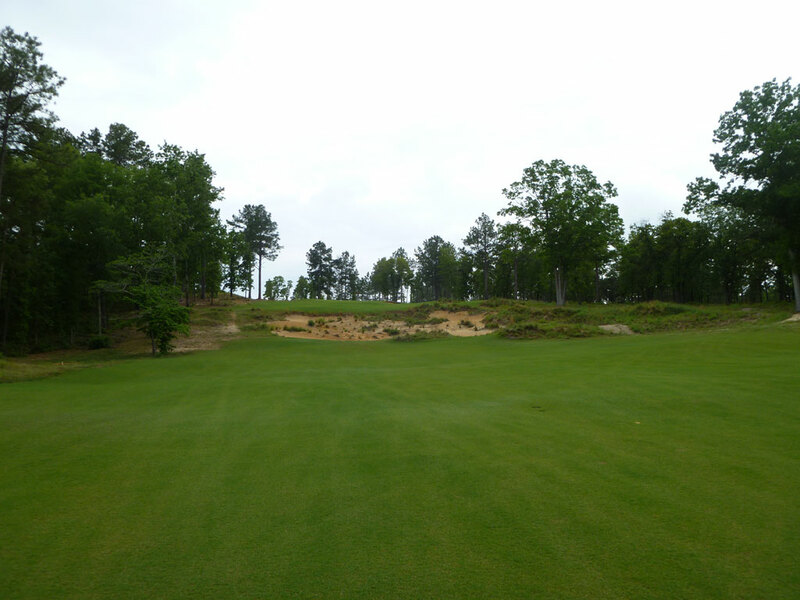 Bunkers exist on each side of the fairway and lead up to the signature bunker that crosses the entire fairway and houses small shrubbery and fescue in Pine Valley fashion. If going for the green in two, an aerial shot will be required to clear the cross bunker before finding the putting surface that is raised above the surrounding bunkers. 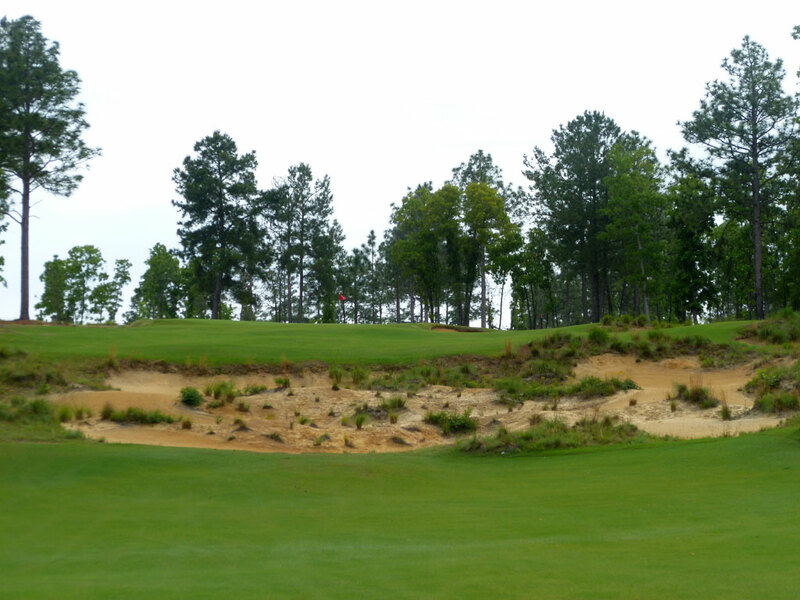 This reachable par five is a great hole with one of the more dramatic uphill climbs on the property. Birdie Time: 3rd Hole – 316 Yard Par 4 – I’ve yet to encounter a golfer that doesn’t enjoy the thrill and challenge of a driveable par four, and The Dormie Club features a couple of them; the best being the 316 yard 3rd hole. From an elevated tee, the golfer enjoys the view of an expansive fairway encroached on the right by a sizeable bunker. A big drive will carry the bunker and kick towards the green, while laying up off the tee will leave an uphill approach shot. The green is surround 270 degrees by bunkers, but wisely doesn’t feature any bunkers in front of the putting surface thus encouraging a heroic play off the tee or the potential for a low, skipping approach shot. 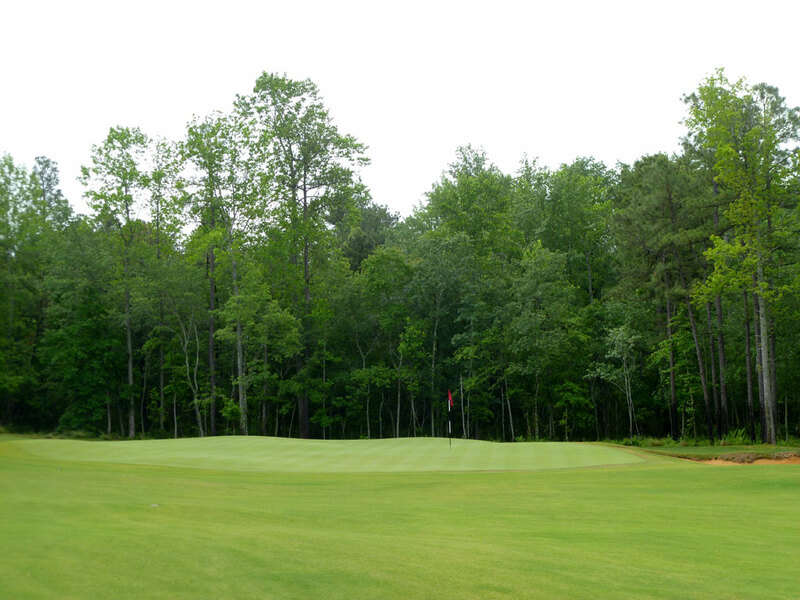 The undulated green features four distinct portions for pin placements (front left, middle right, middle/back left, and back right) which can easily lead to a three putt if your ball doesn’t find the correct quadrant. It is a great hole that is featured early in the round; something that isn’t found often enough at courses. Bogey Beware: 13th Hole – 506 Yard Par 4 – Coore/Crenshaw and Tom Doak implore ½ par holes more often than other modern day architects, in fact Dormie opened up with the idea that par wouldn’t be assigned to any hole since it is an arbitrary number that can change depending upon the conditions of the day. The day I played Dormie, the 500+ yard 13th hole had a par four value assigned to it and whenever a two-shotter eclipses 500 yards it becomes a great candidate for the bogey beware category. 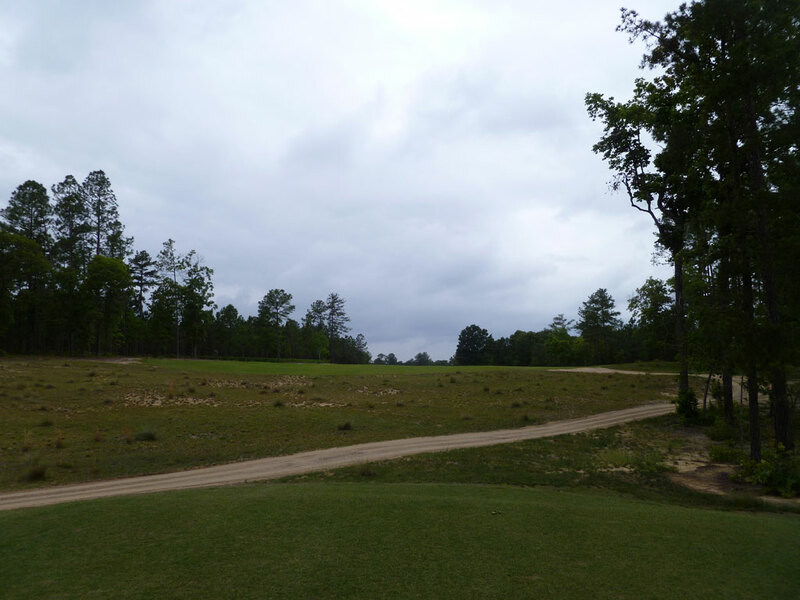 From the tee box, the line isn’t clear since the fairway climbs uphill and disappears from view. 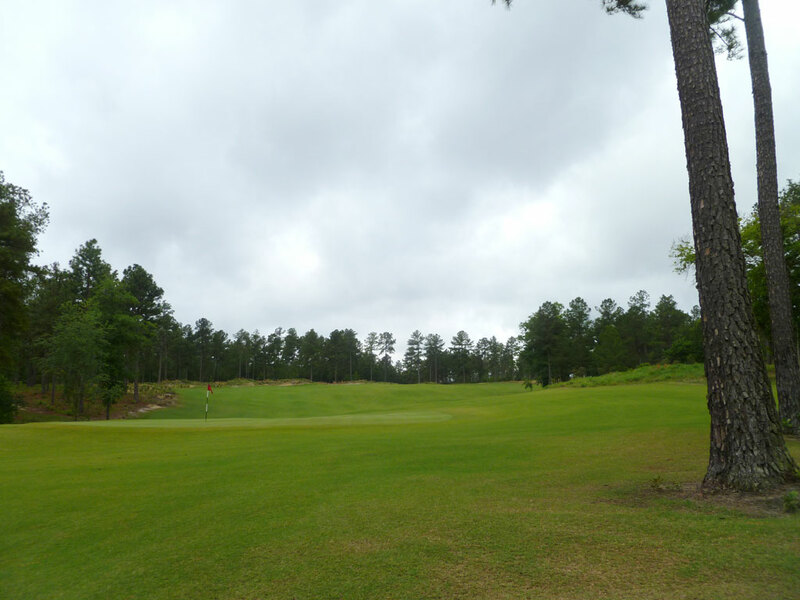 In classic C&C fashion though, the fairway is plenty wide and is receptive to any reasonable tee shot. Little trouble is found on the whole with the biggest obstacle being length. The hole eventually starts sliding back downhill which will help get some extra yardage when approaching the putting surface that is guarded by a lone bunker a few paces right of the green. 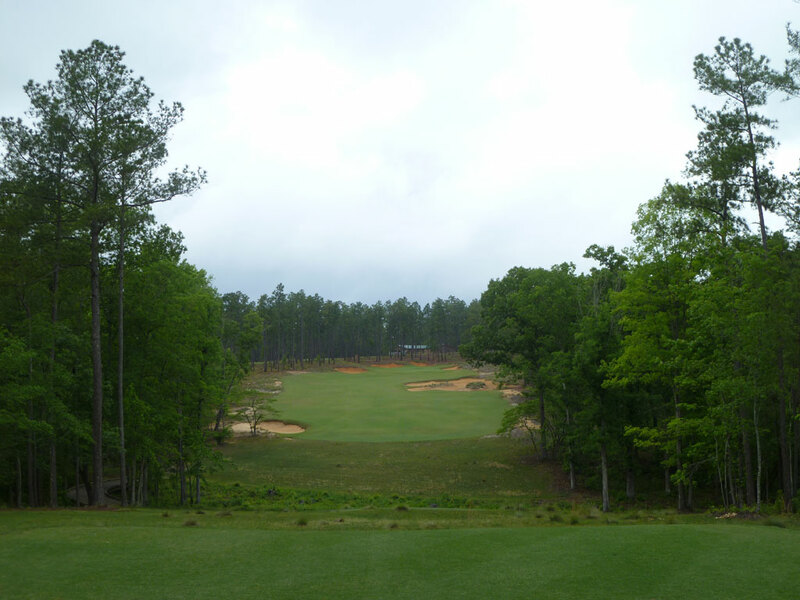 Though there is little trouble on this hole and a relatively large, tame green; most players will be left with a 200+ approach shot which opens the door for carding a high number.